Samsung has announced the launch of third phone in their chat series, Samsung Chat 350 also known as Samsung chat C3500; the phone is equipped with a slider QWERTY key pad and touch screen. The phone has an attractively affordable price. The cost is expected to be around Rs/- 10,000 and there is a possibility that the price may go down again considering the tough competition in the market. 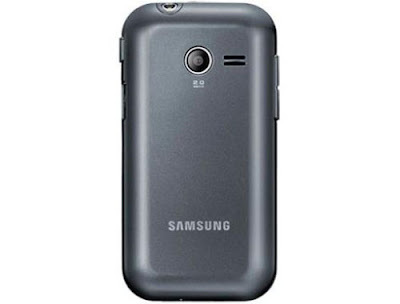 The design of the phone is influenced by Samsung Champ 3300. 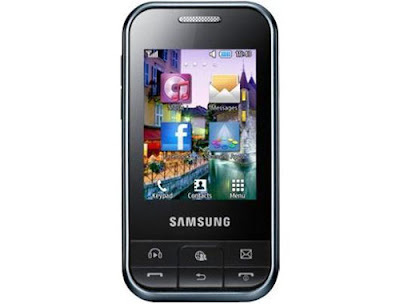 Samsung Chat 350 is equipped with a 2.4 inch QVGA resistive TFT touch screen with 256 colors. The display resolution is 240*320 pixels. The phone is Java MIDP 2.1 enabled and has a proprietary operating system. There is a two mega pixel camera with digital zoom which ensures high quality images and video recording. The picture resolution is 1200* 1600 pixels and the video recording is QCIF at 15fps. The phone has video player which supports MP4 and H.263 video formats. The internet options are well defined with a WAP 2.0 browser, xHTML browser and HTML browser. There are in built games in the phone and there are facilities that will allow downloading more games as per the user’s choice. The phone has an internal memory of 20 MB and an 8 GB external memory is present with the micro SD memory card support. 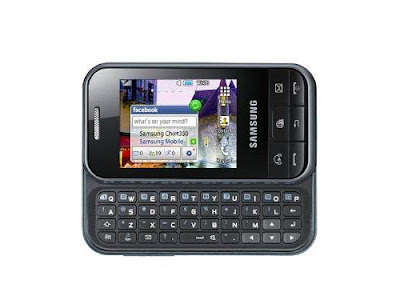 The slider phone- Samsung Chat 350- weighs around 99.8 grams and with its sliding key board it is some what thick with dimensions 100*52*16 mm. The 2G operating frequency is GSM 850/ 900/1800/1900 MHz. There is quad band GSM connectivity without 3G.blue tooth is V2.1 with A2DP and has GPRS facility of class 10(4+1/3+2 slots) with a speed of 32-48 Mbps. The battery used in the phone is standard Li-On 1000mAh which provides a very long talk time of 12 hours and has a stand by time up to 666 hours. Up to 1000 entries are possible in phone book and it has basic messaging facilities. Poly phonic ring tones, MP3 ring tones and internal vibration alert are present in Samsung Chat 350. There is a stereo FM radio with RDS and FM recording. MP3, WMA, WAV and eAAC+ music formats are supported by the music player with a 3.5 mm audio jack. The phone is equipped with speaker and headset and a micro USB 2.0 port. It also allows popular internet uses like e-mailing, instant messaging and easy access of social networking sites like Face Book. The phone will be available in black, white and silver colors.